According to a spokesperson at the South Korean Defense Ministry the nation of North Korea launched a long-range missile. Currently, reports are sketchy therefore it is imperative not to over-hype the situation until true facts emerge. This equally applies to the reasons given by North Korea. 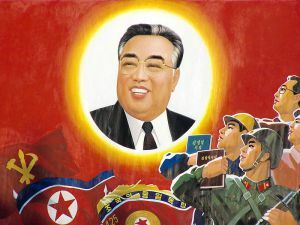 It must be stated, irrespective of the pariah status given to North Korea by leading Western powers, that geopolitical realities weigh heavily on political elites based in Pyongyang. For example, America continues to have military personnel and bases throughout many nations in Asia and this notably applies to Japan and South Korea. Therefore, from the perspective of North Korea this nation deems the actions of America, Japan and South Korea to be aggressive. Equally, murmurs from China against North Korea will appear to be hypocritical because political elites in Beijing are worrying many nations in the South China Sea. Indeed, North Korea mustn’t become a distraction from events that are taking place in the South China Sea, whereby China is claiming areas far from mainland areas. Of course, North Korea needs to refrain from any possible hostile actions. Similarly, if this nation is indeed developing a high-tech military program – or satellite communications – then this must be done with respect to neighboring nations. In other words, different routes for testing and more openness from North Korea must be forthcoming in order to reduce regional tensions. North Korea is currently claiming that they launched a satellite into orbit and that the motive isn’t military based or confrontational. However, this is denied by other regional nations in Northeast Asia who report that the real aim of Pyongyang is to develop a ballistic missile system. Irrespective of North Korea’s real intention it is essential that Prime Minister Shinzo Abe of Japan remains calm. After all, the past history of North Korea isn’t based on external military ventures despite political rhetoric emanating from this nation. Of course, if it turns out that North Korea is upping the ante in relation to breaking international law and developing a complex missile system, then political elites in Tokyo must challenge Pyongyang through various international institutions. Similarly, Japan should work with the Russian Federation in order to reduce tensions with North Korea based on political elites in Moscow being honest brokers. However, Prime Minister Abe is extremely dismayed because he states the launch by North Korea is “absolutely unacceptable.” Despite this, Japan must refrain from taking a leading role because this will only increase geopolitical tensions. Instead, political elites in Tokyo should reach out to America, China and the Russian Federation in order to reduce regional tensions.